Martell Cordon Bleu Extra is a new expression of this old favorite. Borderies dominated with candied fruit aromas. 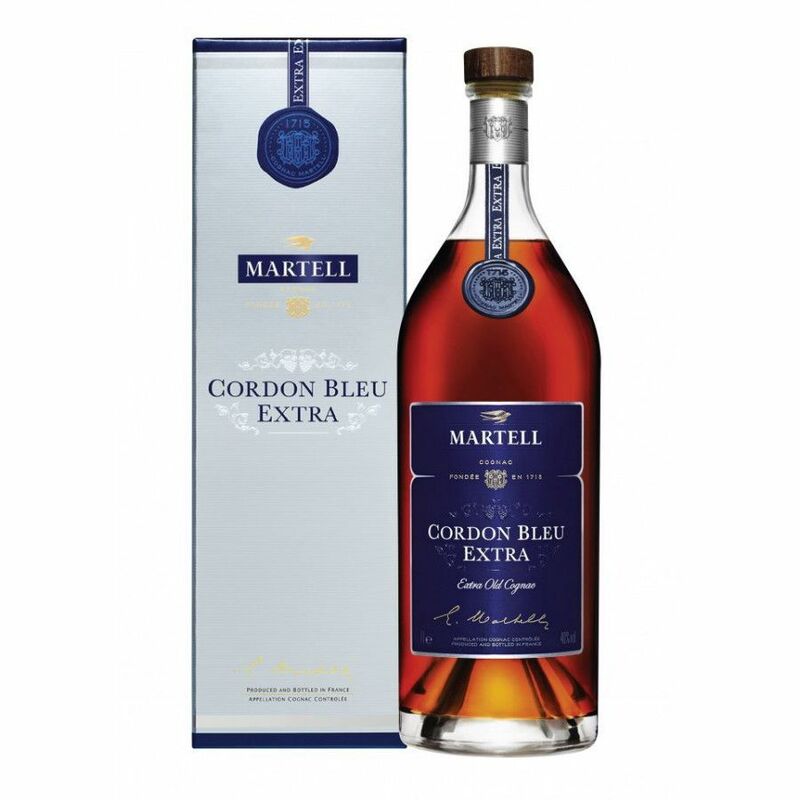 Martell Cordon Bleu Extra Cognac is a new take on an old favorite, with some subtle differences. The first is the age of the cognac. The normal Cordon Bleu is an XO quality, but, as the name suggests, this new model is an Extra Cognac. Whilst it still has a lot in common with the original Cordon Bleu blend (a large proportion of Borderies eaux-de-vie and candied fruit aromas), this brand new product delights with its depth and taste sensations. The bottle and label also has a contemporary, 21st century look, while still paying tribute to the original 1912 design. A lovely EXTRA offering that will be truly enjoyed by those who enjoy cognacs from the Borderies terroir.